The Arguers, written and illustrated by Corinna Luyken. Published by Dial, Spring 2022. Something Good, illustrated by Corinna Luyken and written by Marcy Campbell. Published by Disney Hyperion, Fall 2021. Nothing In Common, illustrated by Corinna Luyken and written by Kate Hoefler. Published by Houghton Mifflin, Fall 2020. A Family for Louie, written and illustrated by Alexandra Thompson. Published by Putnam, Summer 2020. Swashby and the Sea, written by Beth Ferry and illustrated by Juana Martinez-Neal. Published by Houghton Mifflin Harcourt, Spring 2020. More info. Fry Bread, written by Kevin Noble Maillard and illustrated by Juana Martinez-Neal. Published by Roaring Brook Press, October 22, 2019. More info. Brave Molly, written and illustrated by Brooke Boynton Hughes. Published by Chronicle, April 2019. Babymoon, written by Hayley Barrett and illustrated by Juana Martinez-Neal. Published by Candlewick Press, April 2, 2019. More info. I'm Worried, written by Michael Ian Black and illustrated by Debbie Ridpath Ohi. Simon & Schuster Books For Young Readers, June 2, 2019. More info. Weird Little Robots, written by Carolyn Crimi, illustrated by Corinna Luyken. Published by Candlewick, Fall 2019. The Goose Egg, written and illustrated by Liz Wong. Published by Knopf Books for Young Readers, January 22, 2019. More info. My Heart, written and illustrated by Corinna Luyken. Published by Dial Books for Young Readers, January 2019. What Can You Do with a Toolbox? Written by John Colaneri and Anthony Carrino, illustrated by Maple Lam. Published by Simon & Schuster Paula Wiseman Books, August 28, 2018. More info. Balance the Birds, written and illustrated by Susie Ghahremani. Published by Abrams Appleseed, Fall 2018 (tent). Alma and How She Got Her Name/Alma y cómo obtuvo su nombre, written and illustrated by Juana Martinez-Neal. Published by Candlewick Press, April 10, 2018. More info. Frenemies in the Family, written by Kathleen Krull, illustrated by Maple Lam. Published by Random House, Mar 13, 2018. More Info. Hedgehog Needs A Hug, written and illustrated by Jen Betton. Published by G. P. Putnam's Sons – Penguin Books, June 19, 2018. More info. Twilight Chant, written by Holly Thompson, illustrated by Jen Betton. Published by Clarion Books – Houghton Mifflin Harcourt, March 20, 2018. More info. I'm Sad, written by Michael Ian Black, illustrated by Debbie Ridpath Ohi. Published by Simon & Schuster BFYR, 2018 (tent.). Where is the Treasure? by Maple Lam. Published by Light Press (Taiwan), August 17, 2018. More Info. Out of School and into Nature, written by Suzanne Slade, illustrated by Jessica Lanan. Published by Sleeping Bear Press, March 15, 2017. Confiscated! by Suzanne Kaufman, Published by HarperCollins' Balzer + Bray, August 1, 2017. Naughty Claudine's Christmas by Patrick Jennings, illustrated by Suzanne Kaufman, Published by Random House, October 24, 2017. John Ronald's Dragons written by Caroline McAlister, illustrated by Eliza Wheeler, Published by Roaring Brook Press, March 2017. The Book of Mistakes. Written and illustrated by Corinna Luyken. Published by Dial Books for Young Readers, April 18, 2017. I Will Love You, written by Alyssa Capucilli, illustrated by Lisa Anchin. Published by Scholastic, March 2017. Sam & Eva. Written and illustrated by Debbie Ridpath Ohi. Published by Simon & Schuster BFYR, Oct 2017. La Princesa and the Pea. Written by Susan Middleton Elya, illustrated by Juana Martinez-Neal. Published by G. P. Putnam's Sons Books for Young Readers, September 5, 2017. More info. Mitzi Tulane, Preschool Detective in The Secret Ingredient. Written by Lauren McLaughlin, illustrated by Debbie Ridpath Ohi. Published by Random House Children's, July 2017. Ruby Rose, Big Bravos. Written by Rob Sanders, illustrated by Debbie Ridpath Ohi. Published by HarperCollins Children's, August 2017. Stack the Cats. Written and illustrated by Susie Ghahremani. Published by Abrams Appleseed, May 2017. More info. Sea Monkey and Bob. Written by Aaron Reynolds, illustrated by Debbie Ridpath Ohi. Published by Simon & Schuster BFYR, April 25, 2017. More info. The Chupacabra Ate the Candelabra. Written by Marc Tyler Nobleman, illustrated by Ana Aranda. Published by Penguin/Nancy Paulsen Books, March 7, 2017. More info. 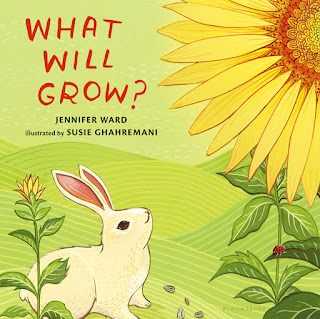 What Will Grow?, written by Jennifer Ward, illustrated by Susie Ghahremani. Published by Bloomsbury, February 2017. The Thickety #4: The Last Spell, written by J.A. White, illustrated by Andrea Offermann, published by Katherine Tegen Books, April 2017. Yvain by M.T. Anderson, illustrated by Andrea Offermann, published by Candlewick, March 2017. Written by Josh Funk, illustrated by Rodolfo Montalvo. Published by Viking Children's Books, a Penguin Random House imprint, September 2016. Mitzi Tulane: Preschool Detective in What's That Smell? Written by Lauren McLaughlin, illustrated by Debbie Ridpath Ohi. Published by Random House Children's, Spring 2016. More info. Written and illustrated by Maple Lam. Published by HarperCollins Children's, May 2016. More info. Written by Susan Middleton Elya, illustrated by Juana Martinez-Neal. Published by G. P. Putnam's Sons Books for Young Readers, Summer 2016. More info. Ruby Rose: Off To School She Goes! Written by Rob Sanders, illustrated by Debbie Ridpath Ohi. Published by HarperCollins Children's, Summer 2016. More info. Written and illustrated by Liz Wong. Published by Knopf Books for Young Readers, March 2016. More info. The Story I'll Tell, written by Nancy Tupper Ling, illustrated by Jessica Lanan. Published by Lee & Low Books, Fall 2015. Where Are My Books? by Debbie Ridpath Ohi. Published by Simon & Schuster Books For Young Readers, Summer 2015. More info. Written by Pat Zietlow-Miller, illustrated by Eliza Wheeler. Published by Little Brown Books, May 2015. Written by Ryan and Evie Cordell, illustrated by Maple Lam. Published by HarperCollins Children's, June 2015. More info. Written by Tricia Springstubb, illustrated by Eliza Wheeler. Published by Candlewick Press, Spring 2015. Sea-Monkey and Bob, written by Aaron Reynolds, illustrated by Debbie Ridpath Ohi. 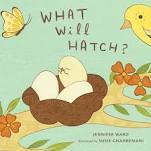 Published by Simon & Schuster Books For Young Readers, Fall 2014. More info. Written by Michael Ian Black, illustrated by Debbie Ridpath Ohi. Published by Simon & Schuster Books For Young Readers, April 2014. More info. Written by Mara Rockliff, illustrated by Eliza Wheeler. Published by Peachtree Publishers, April 2014. More info. Seven Judy Blume classics reissued as middle grade by Atheneum/Simon & Schuster, April 2014. Cover illustrations by Debbie Ridpath Ohi. Written by Judy Blume, illustrated by Debbie Ridpath Ohi. Reissued by Atheneum, Simon & Schuster, May 2014. Written by Troon Harrison, illustrated by Andrea Offermann. Published by Nilpferd im Residenz Verlag in September 2013. Written by Michael Dahl, illustrated by Christina Forshay. Published by Picture Window Books on Feb 1st, 2013. Written and illustrated by Eliza Wheeler. Published by Nancy Paulsen Books/Penguin on April 4, 2013. More info. Written by Holly Black, illustrated by Eliza Wheeler. Published by Margaret K. McElderry Books/Simon & Schuster on May 7, 2013. Written by Jennifer Ward, illustrated by Susie Ghahremani. Published by Bloomsbury Kids on May 13, 2013. Written by Cornelia Funke, illustrated by Andrea Offermann. Published by Little Brown, Books for Young Readers on May 1, 2012. More Info. Written by J. M. Barrie, retold by Sabine Rahn, illustrated by Andrea Offermann. Published by Ellermann Verlag in August 2012. More info. Written by Michael Ian Black, illustrated by Debbie Ridpath Ohi. Published by Simon & Schuster Books For Young Readers on Sept. 4, 2012. More info. Written by Kate Milford, illustrated by Andrea Offermann. Published by Clarion Books on Sept. 4, 2012. More Info. Written by Salha Ghabish, illustrated by Juana Martinez-Neal. Published by Kalimat on November 7, 2012. Written by Ruth Berger, illustrated by Andrea Offermann. Published by Kindler Verlag on November 9, 2012. More info. Written by Christianne C. Jones, illustrated by Juana Martinez-Neal. Published by Picture Window Books/Capstone Publishers on August 1, 2011. More info. Written by Sonya Hartnett, illustrated by Andrea Offermann. Published by Candlewick Press on September 13, 2011. More info. Written by Susannah Appelbaum, illustrated by Andrea Offermann. Published by Alfred A. Knopf Books for Young Readers on October 31, 2011. Written by Petra Oelker, illustrated by Andrea Offermann. Published by Kindler Verlag on November 1, 2011. More info. Written by Kate Milford, illustrated by Andrea Offermann. Published by Clarion Books on May 24, 2010. More info.